Growing up in a conservative culture, MC Mary Kom has struggled her way out of orthodoxy and into the world of boxing. She first stepped into the boxing wing to earn bread and butter for the family, but it soon turned into a passion. Being a quick learner, she took a mere two weeks to learn the basics of boxing. 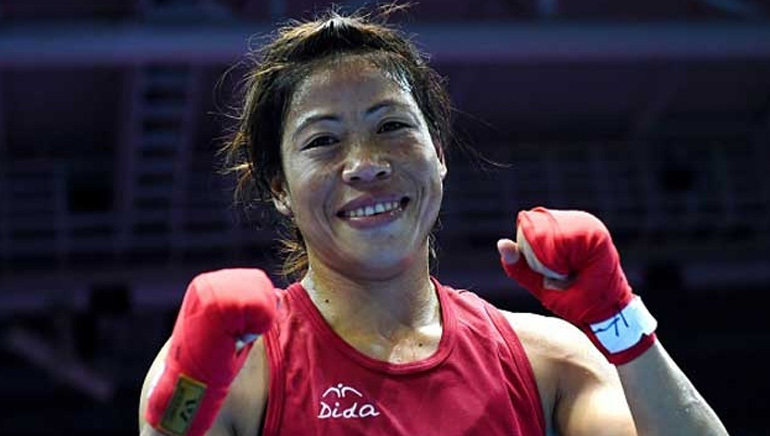 To put her accomplishments into perspective: Mary Kom is a five-time world champion in amateur boxing, and the first-ever woman to receive the Arjuna award – conferred by the Ministry of Youth Affairs and Sports, Government of India – in the year 2003. Mary Kom strongly feels for the society and works hard to help budding talents in the field of boxing. She has started giving boxing training in Manipur to around 37 children who are poor but are no less in ardour towards the sport. Observing her efforts, the government has come to her support with land and finance. She believes that any hurdle in life can be overcome, if you show utmost dedication and work hard towards eliminating it.